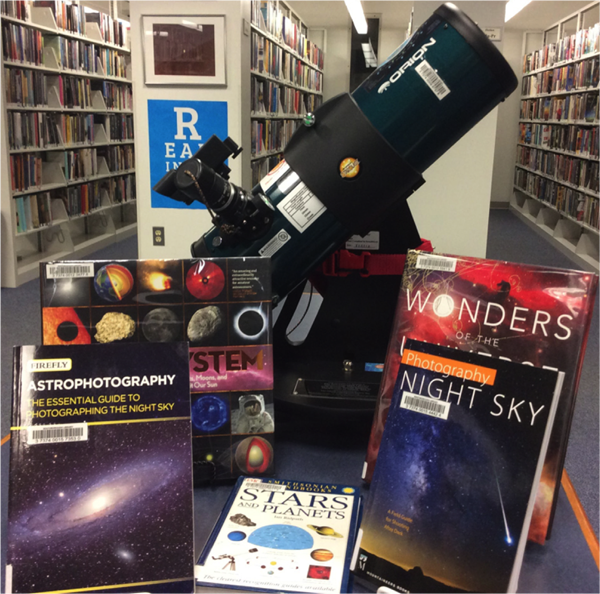 This compact and easy-to-use telescope can be borrowed from the library just as you would a book or a movie. The library has 2 circulating telescopes. Each telescope circulates for 3 weeks with no renewals. They are not reservable, but available on a first come, first served basis. Part of the Adopt-A-Library Telescope initiative from the Aldrich Astonomical Society. One was funded by the Southborough Cultural Arts Council with help from The Friends of the Southborough Library, while the other was donated by MathWorks in Natick.